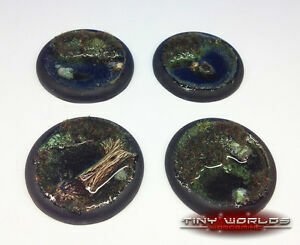 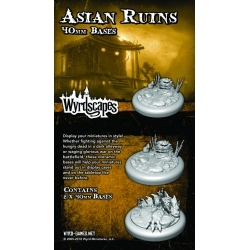 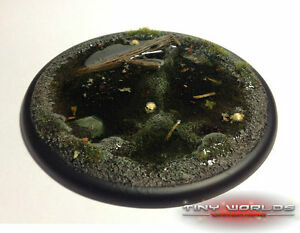 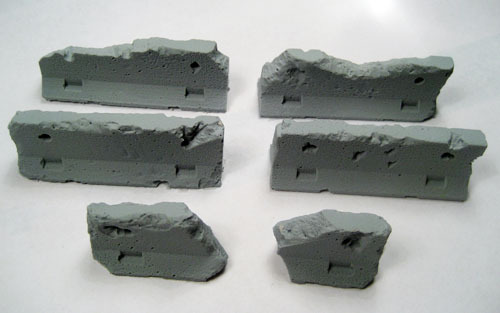 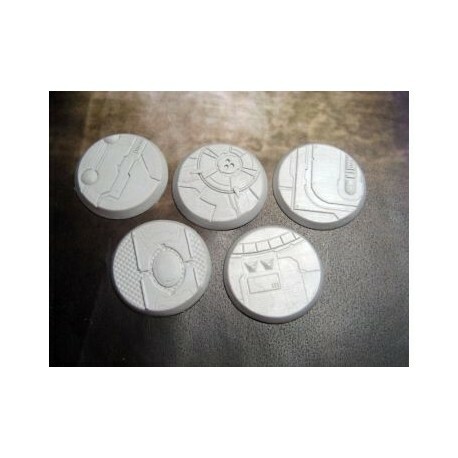 item 1 Resin Lipped Bases Lot used. 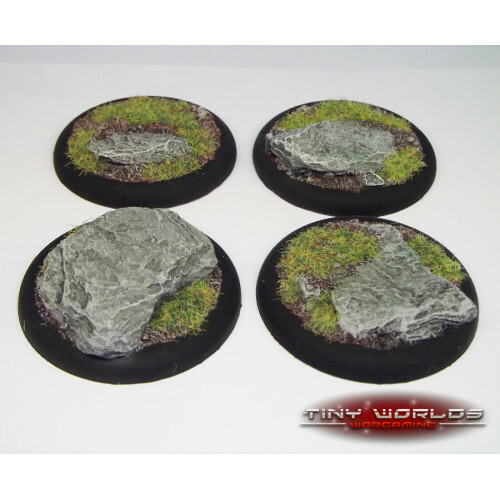 30mm 40mm 50mm. 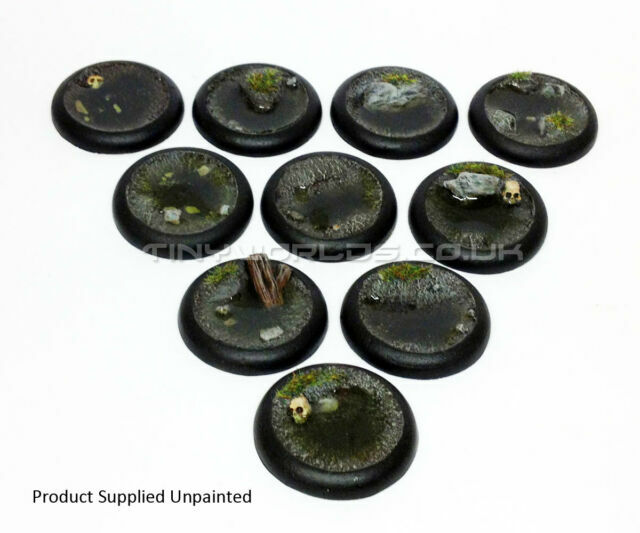 Malifaux Warmachine Dark Age etc. 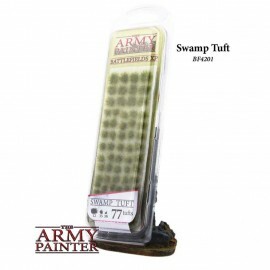 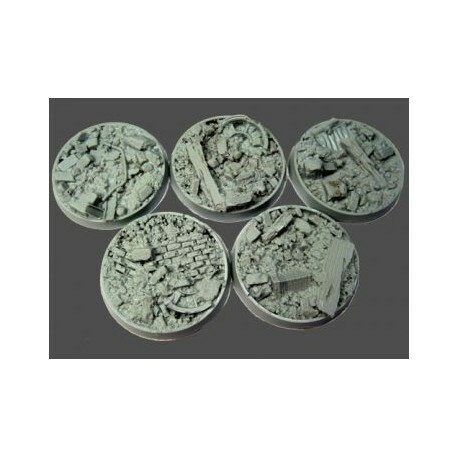 -Resin Lipped Bases Lot used. 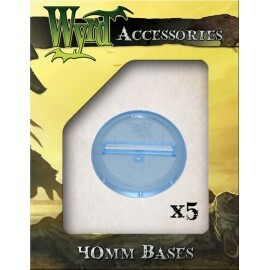 30mm 40mm 50mm. 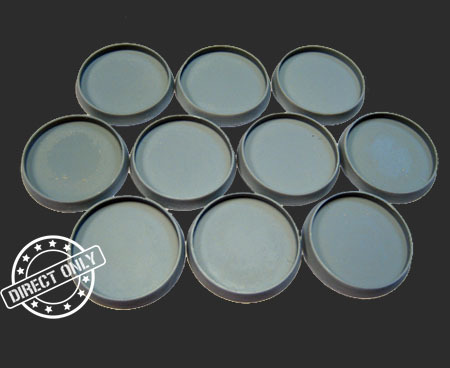 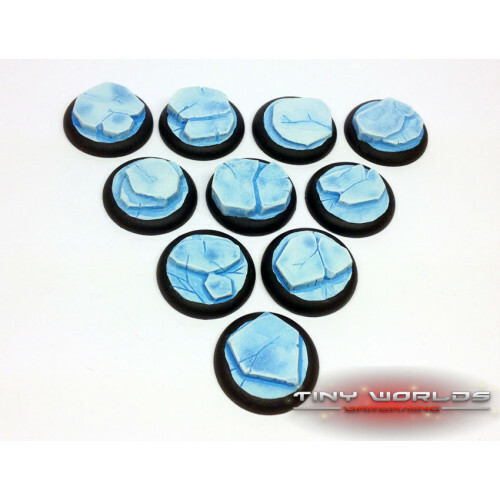 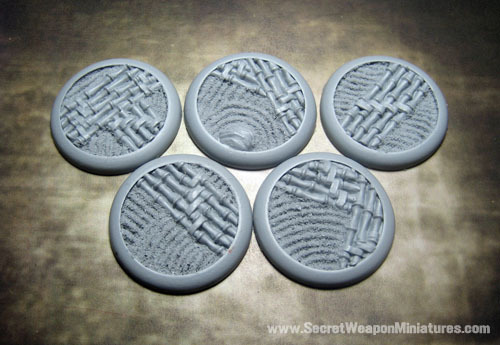 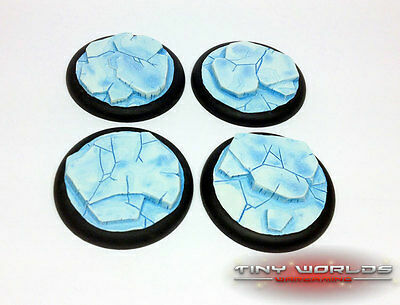 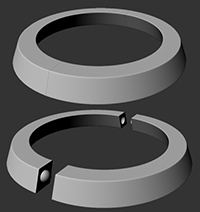 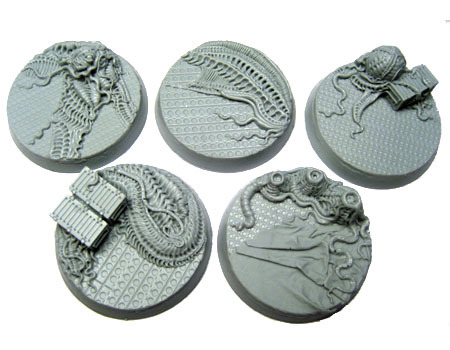 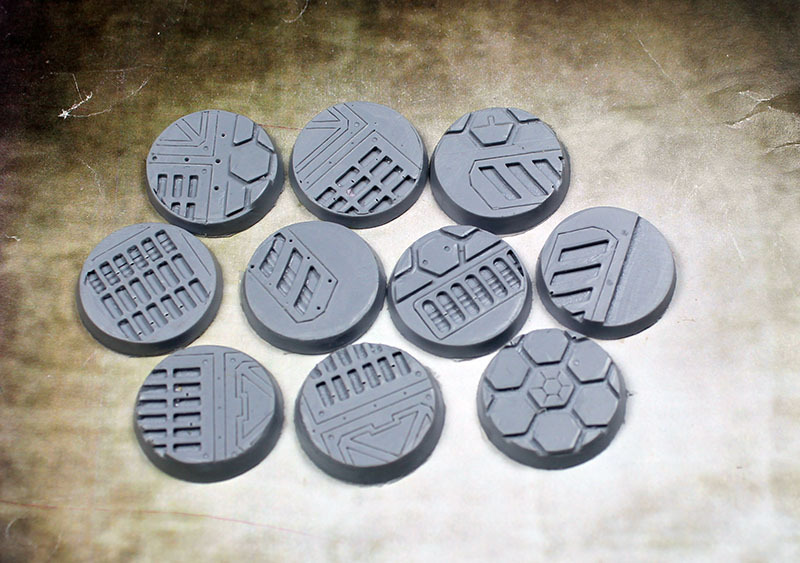 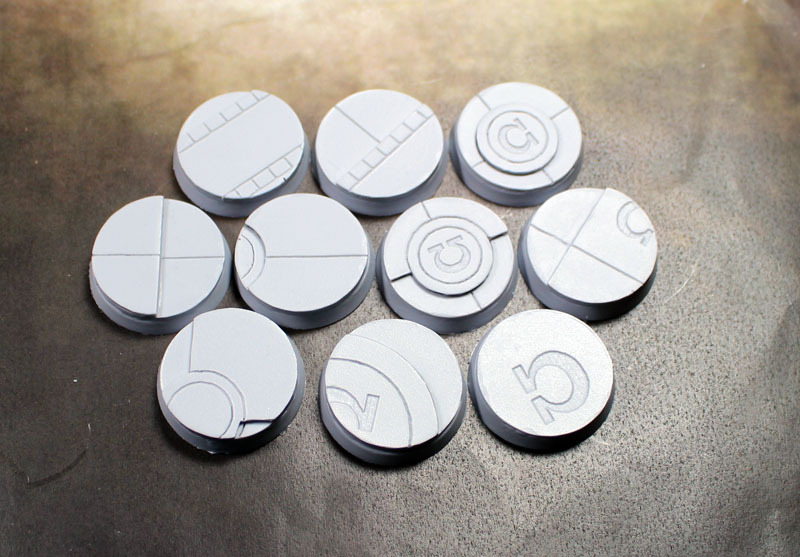 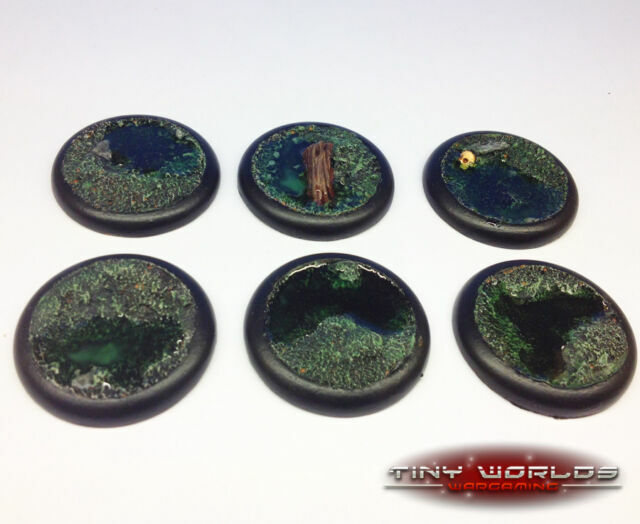 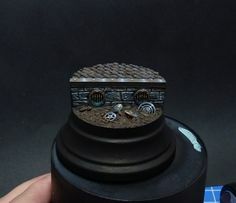 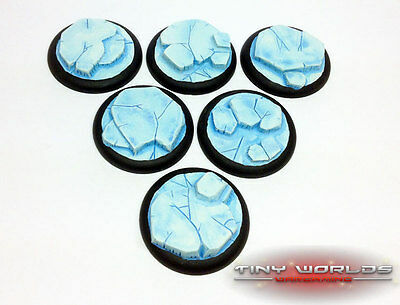 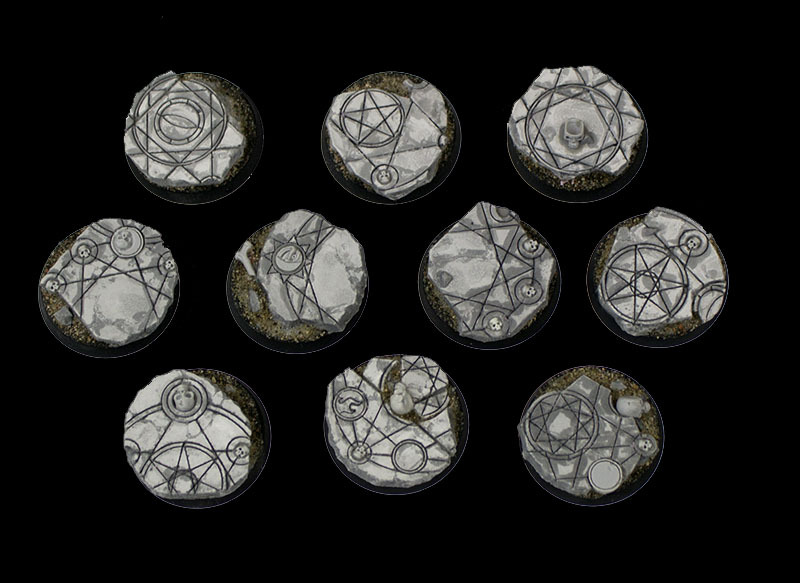 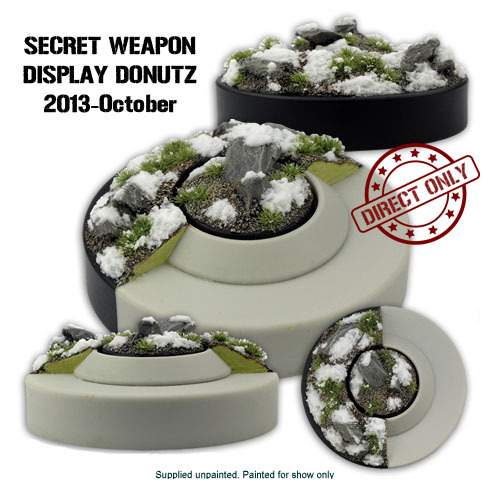 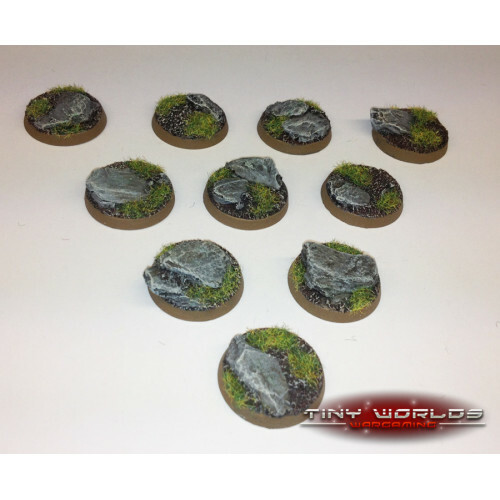 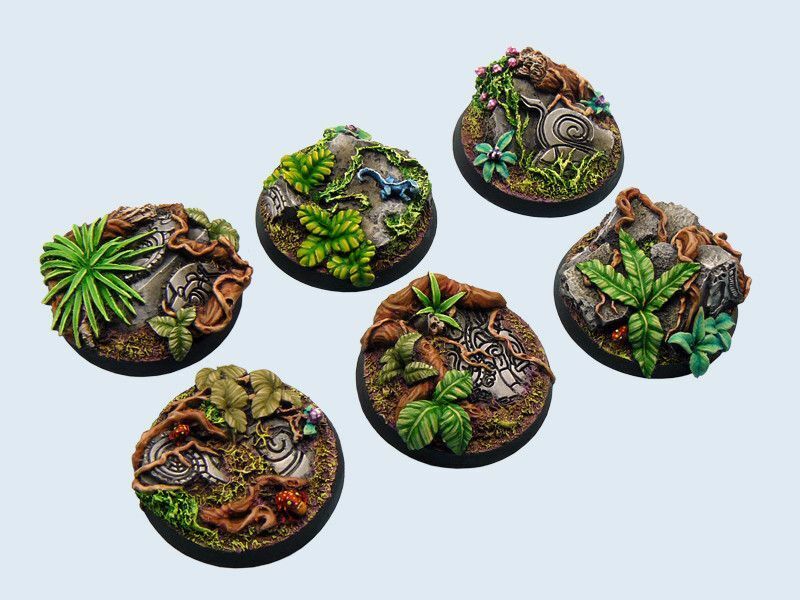 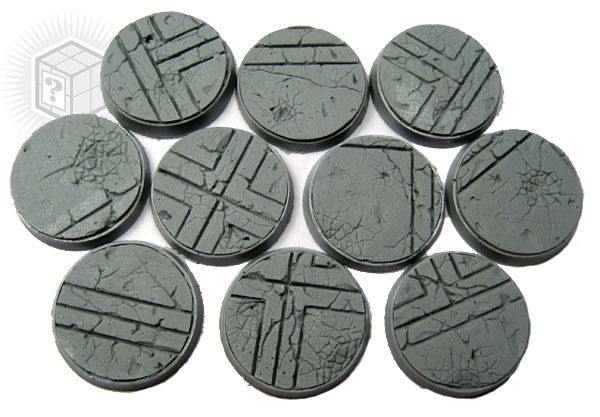 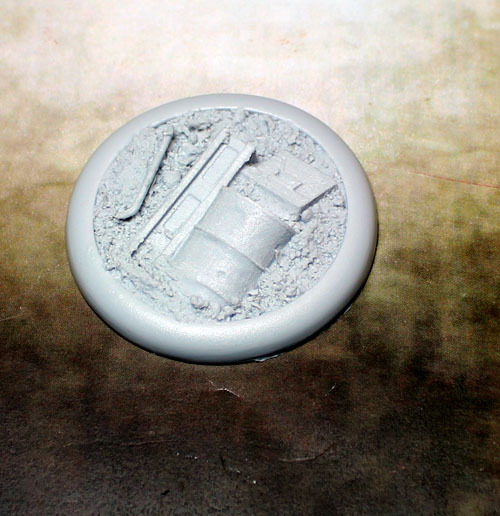 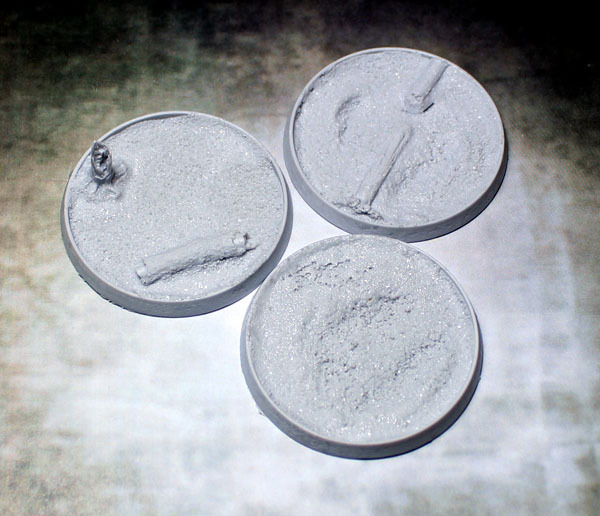 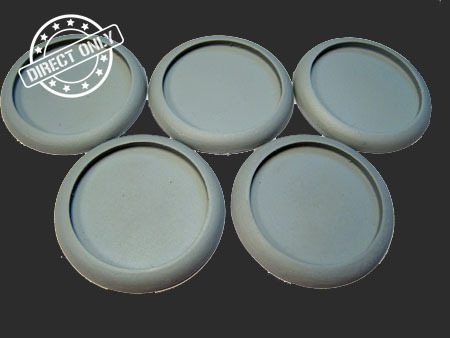 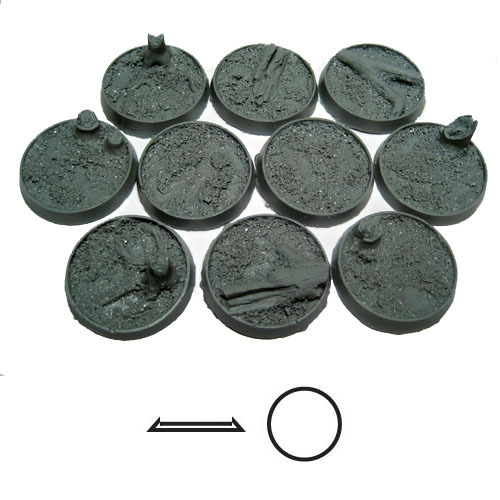 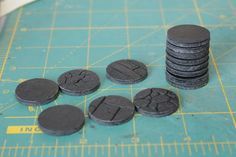 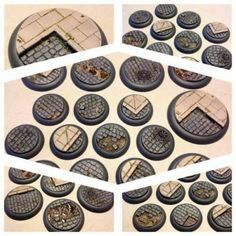 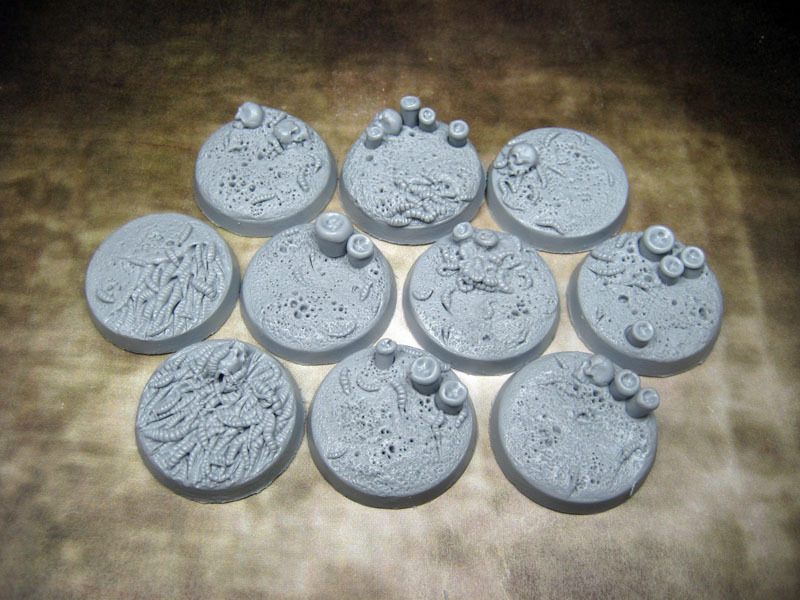 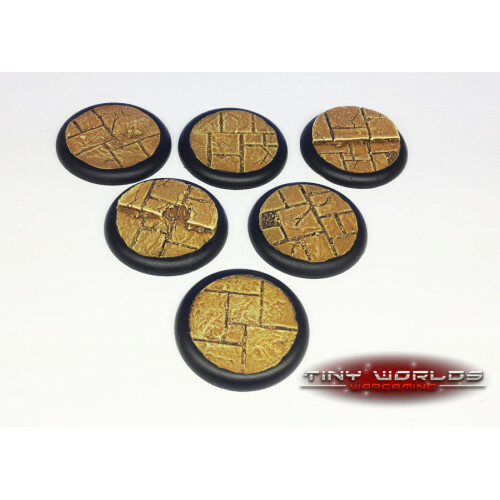 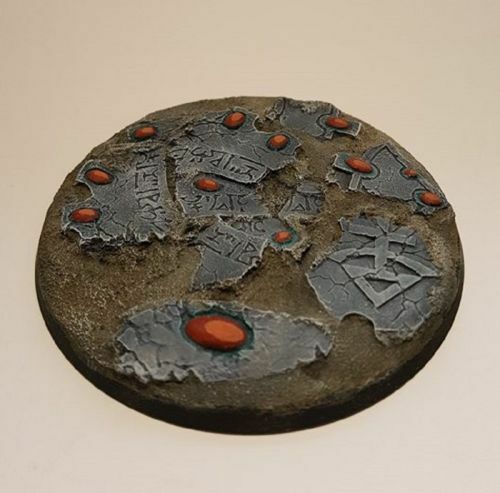 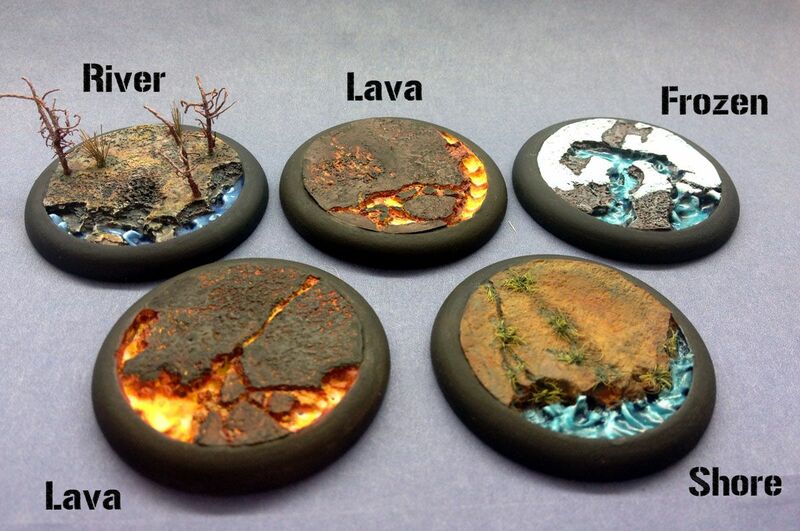 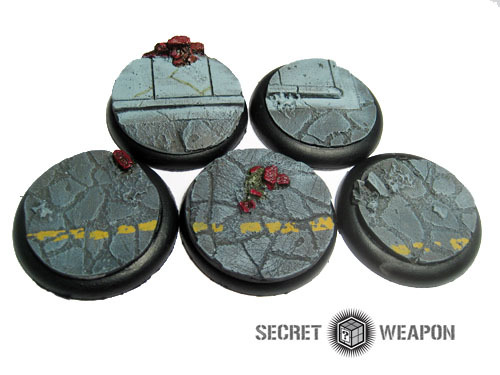 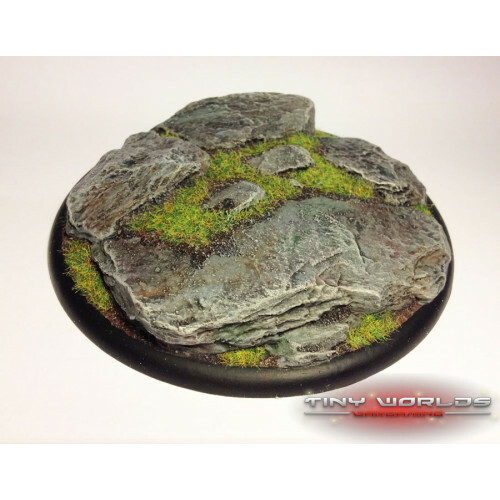 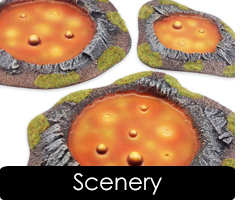 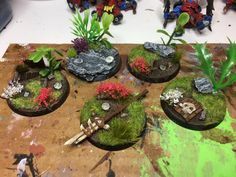 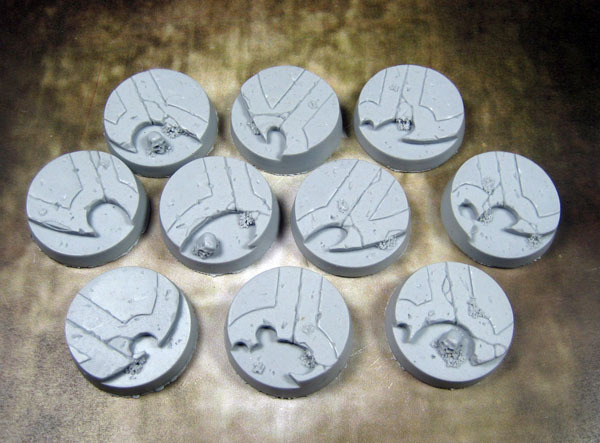 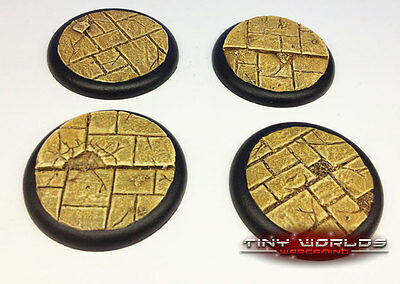 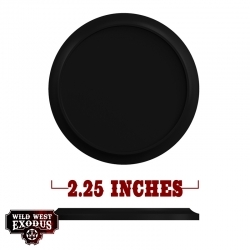 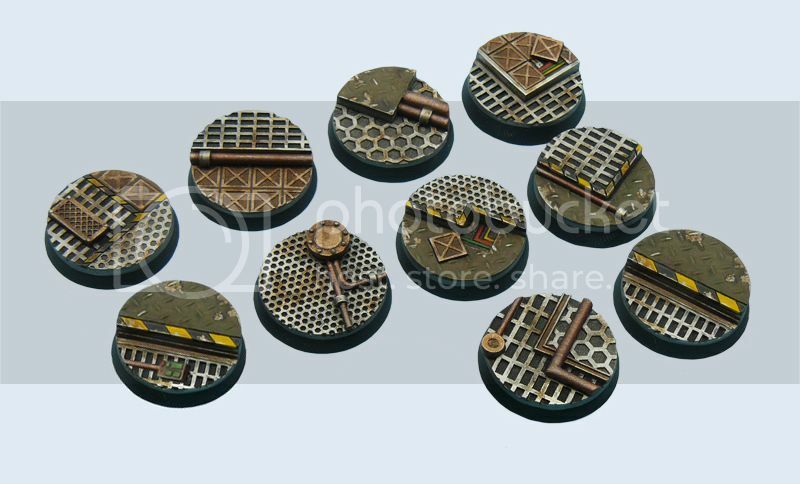 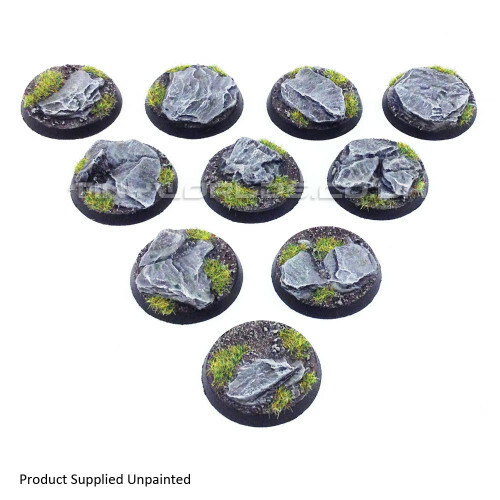 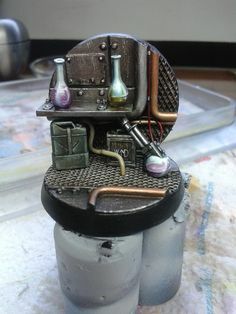 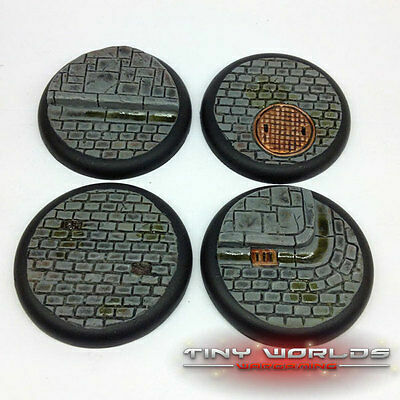 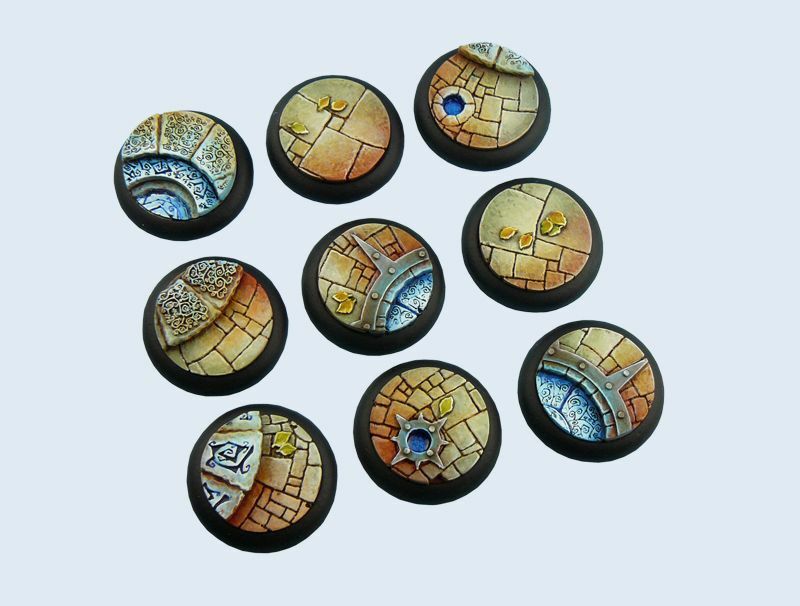 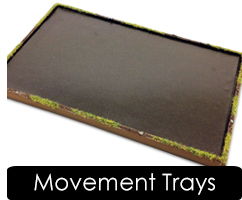 make round bases for mm miniatures. 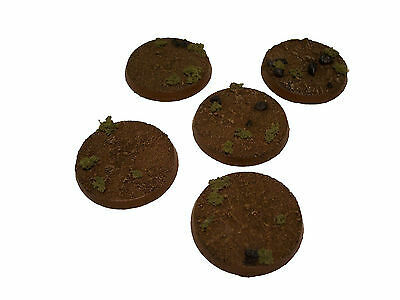 Round Lip Bases: 40mm "Lava Flow"
The problem with the RK ones is that the insides of their purple bases are not the same size as say, a Warmachine or Dark Age 30mm rounded base. 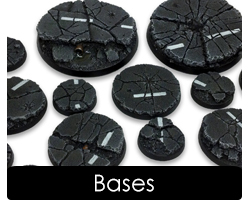 Bases, sah! 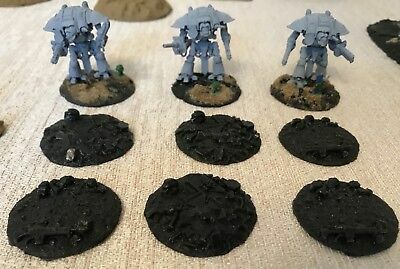 Fah-sands of 'em! 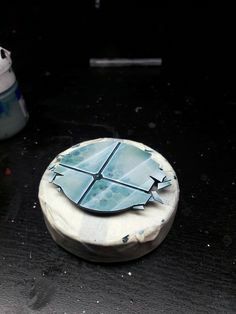 Scattering a small amount of sand around his feet while the glue is still wet would make the effect even better. 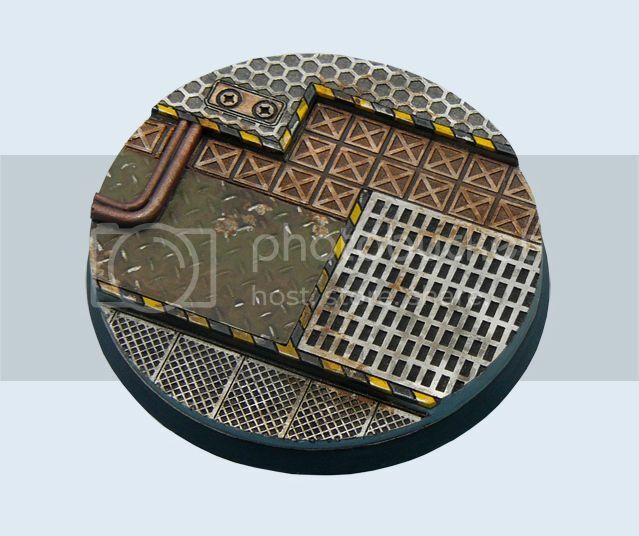 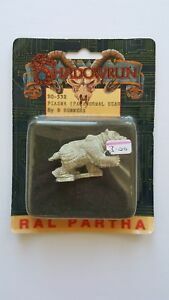 This zombie would be right at home shambling across a 40mm Graveyard base.